The Wilder Textured Earth tones are an acrylic based line of paints containing grains. 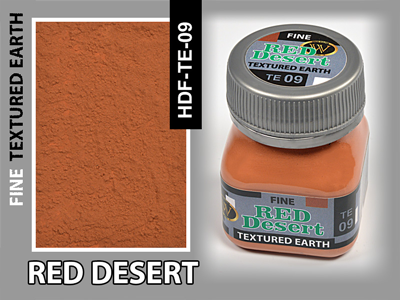 These colours are great for creating ground surfaces on dioramas. Each colour comes in two textures. These grains are fine and stony. You can pour the colours right from the jar and spread them onto your diorama. You can thin them using water if you feel it is necessary. It will take the Textured Earth colours about one day to dry. They will not shrink or crack. Use the different tones together in order to obtain authentic looking multi-toned ground work. You can also paint additional ground tones or add both enamel or acrylic washes (for example the Wilder NitroLine) over the solidified Textured Earth colours. 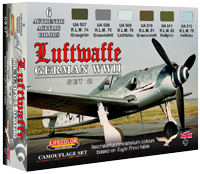 It will be best to locate any structures, trees and foliage on the diorama while the paint is still wet.